At Cal Spas, your safety is our number one concern. Cal Spas products are designed and tested to rigorous quality and safety standards, and are recognized by third party organizations. Cal Spas offers you peace of mind knowing that your spa is listed with the Underwriters Laboratory (UL), a third-party organization that demands the most rigorous safety standards. 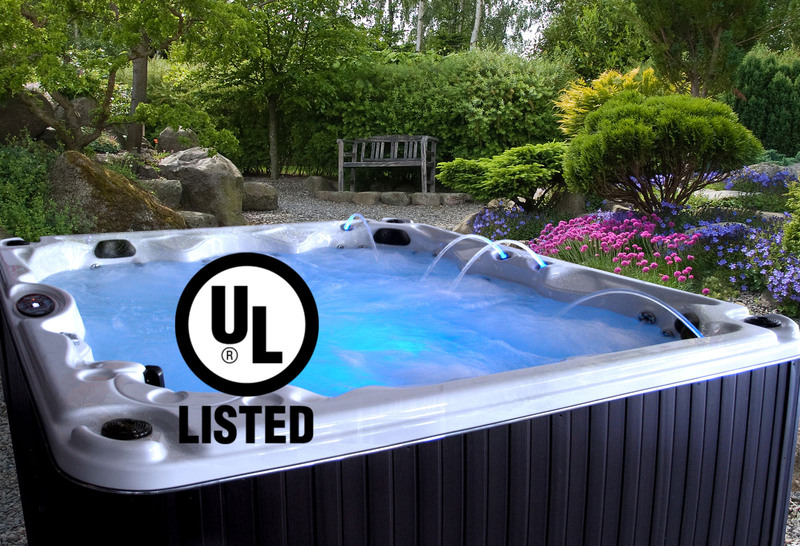 All Cal Spas hot tubs and swim spas display a UL listed mark, which means that each hot tub and swim spa has been rigorously tested and evaluated by a UL representative and concluded that they meet all UL requirements. Cal Spas Ultimate Fitness™ swim spas are the first swim spas to receive a UL listing in this category, which distinguishes Cal Spas from other swim spa manufacturers. In total, there are 34 tests conducted on each product to determine UL status. After each Cal Spas product receives the UL mark, representatives of UL are authorized to make unannounced visits to the Cal Spas factory to ensure UL requirements continue to be met. Given the high standards set by UL, we are extremely proud to display the UL mark on our products.